No Tower — Not Even in Gingerbread! Our message is getting through! Posted in Signs on December 8, 2015 by pennystreet546. 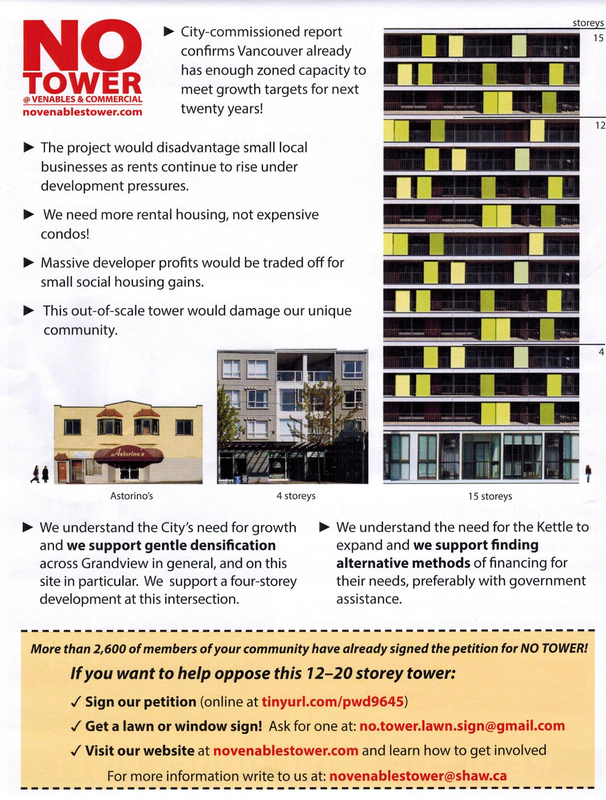 As we approach the 3,000th signature on our NO TOWER petitions, we have also launched a new flyer which is being delivered door-to-door throughout the neighbouhood this week. Signs Are Popping Up All Over! The response to our introduction of lawn signs and window signs has been fantastic. 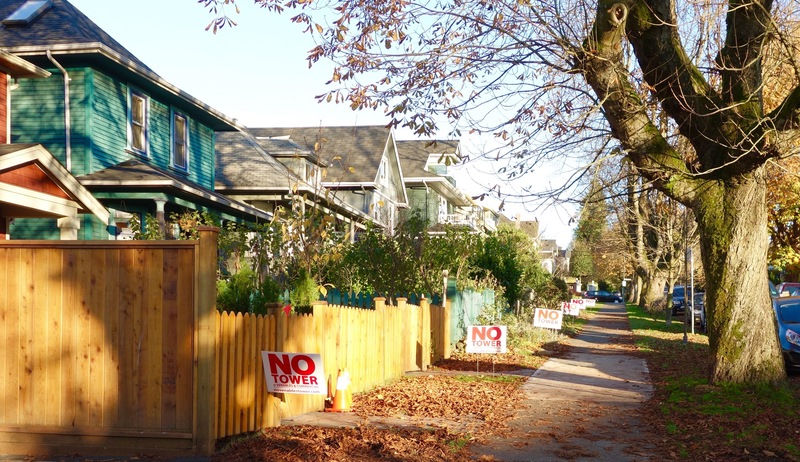 They can already be seen all over the neighbourhood. 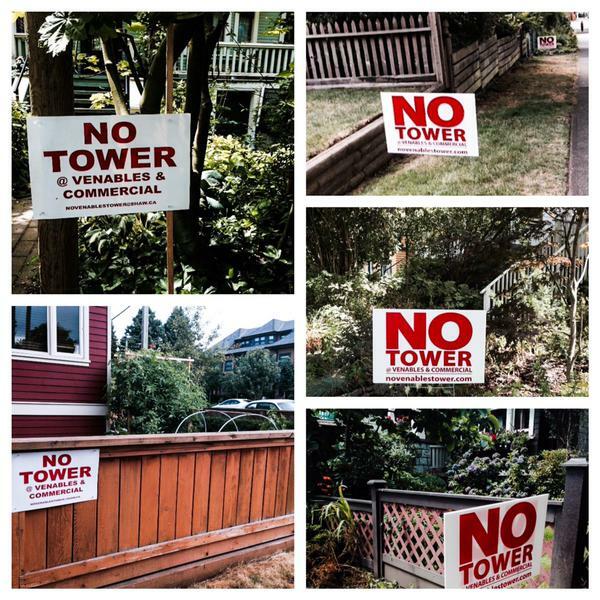 Many thanks to you all for showing so publicly your disapproval of the tower! 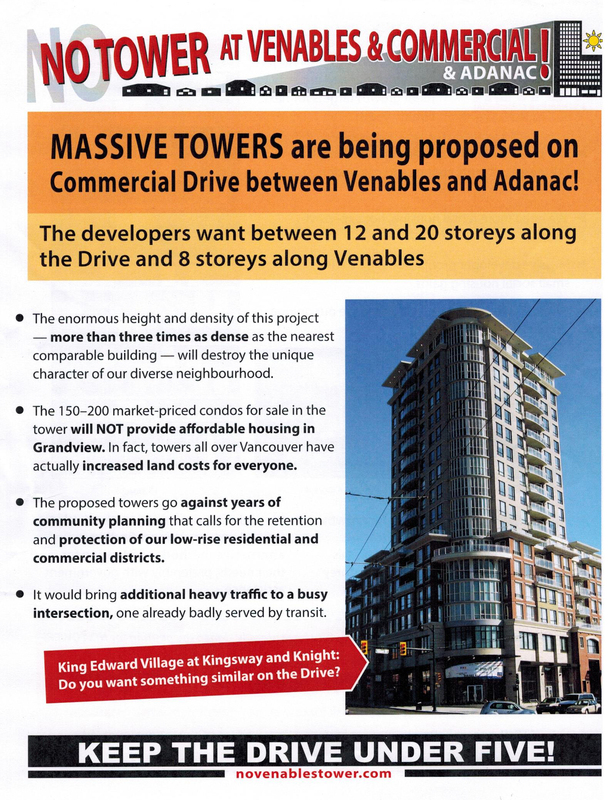 If you haven’t got yours yet, email us at novenablestower@shaw.ca and we’ll set you up. The Lawn Signs Have Arrived! One of the most noticeable aspect of our campaign over the next few weeks will be the proliferation of lawn signs across the community. If you have already signed up for one, we will be in touch with you very soon. 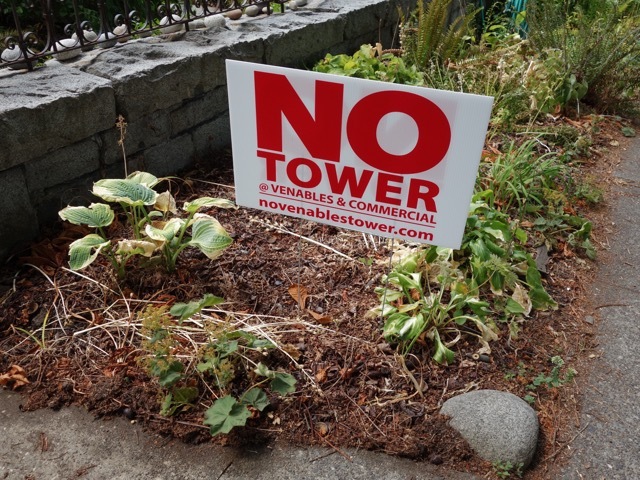 If you would like to publicly express your horror at the huge high-rise proposed for our neighbourhood with a lawn sign or an apartment window sign, send us an email to novenablestower@shaw.ca and we will make the arrangements. You can also register for a lawn sign at our information table at Grandview Park on Monday, Wednesday and Friday afternoons (3:00pm to 6:00pm).